Manchester United are in the hunt for a suitable candidate to fill their full-time managerial position, and a host of world-class tacticians have already been linked with the job. While Mauricio Pochettino and Ole Gunnar Solskjaer are said to be the two favourites for the post, other managers like Massimiliano Allegri, Laurent Blanc, and Antonio Conte have also been rumoured to be in the running. However, perhaps the most surprising link so far has come in the form of the current gaffer of the English national team, Gareth Southgate. 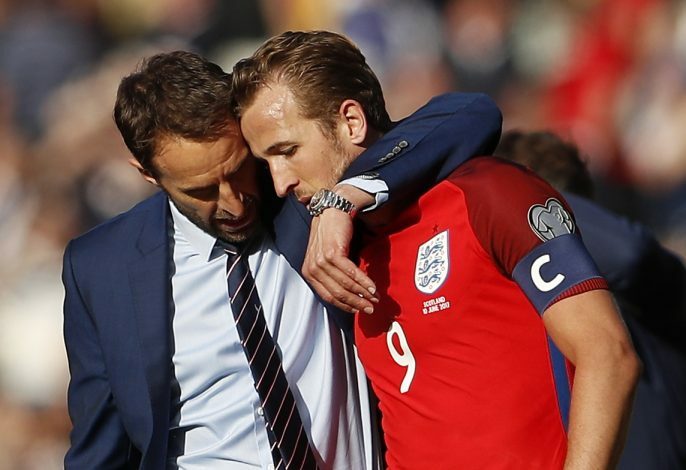 The 48-year-old has done an impressive job with the Three Lions, as evident from their performances in the 2018 World Cup and the subsequent UEFA Nations League. His management style, along with his attacking brand of football, has made him a potential target for the biggest club in England, with speculation still running rife. But now, the man himself has had his say on these reports. Speaking to Sky, Southgate completely dismissed the possibility of this switch, instead focusing on England’s upcoming targets. He stated: “I’m the England manager and it’s a privileged position to be in. “So, it’s a hugely exciting time with the team. I don’t think we’ve progressed as far as we can yet. I think there’s room for us to grow.​ I think there is a lot of importance in life about enjoying what you are doing.